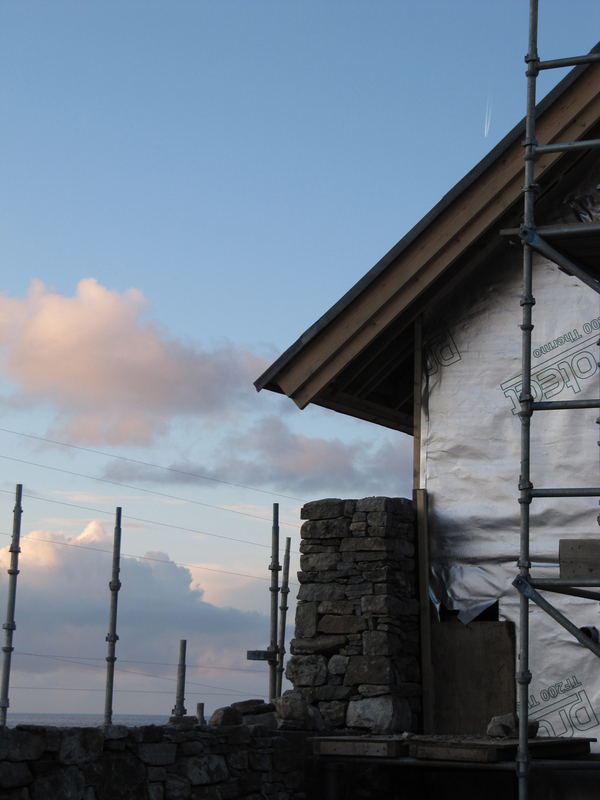 Work on the west wall continues in the teeth of winter wind and rain. It will eventually be extended into longer garden walls. The three masons continually change the area of wall on which they are working to ensure no visible changes in walling 'style' from one part to another. Ice grips the site as it is shut down for Christmas break. The stone wall reaches its full height at one end. The silver membrane is a high performance aluminised builder paper which maximises the insulation value of the building fabric. 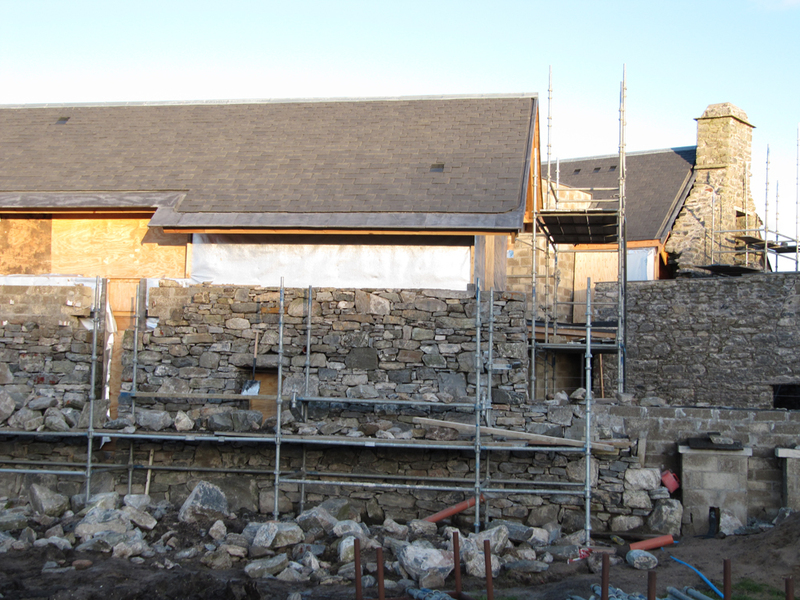 The section of wall between the roof and the stone wall will be boarded in black stained larch.